eobiont - POS and mailing campaign. New travelers to Germany are often in for a surprise when they first try to buy something. Most German retailers don’t accept credit cards and a surprising number only accept cash. 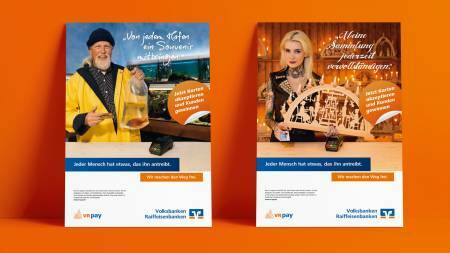 We were asked by CardProcess to develop a communication strategy that would help bankers at Volksbanken Raiffeisenbanken, the second largest banking network in Germany, convince more of their business customers to accept cashless payments using their VR pay products and services. 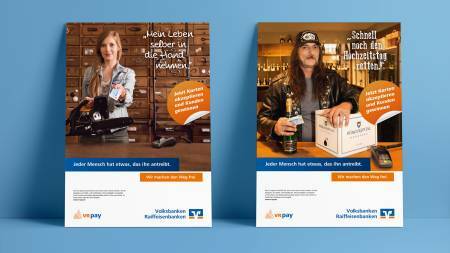 Many German merchants have false perceptions of the cost and ROI of card acceptance. Yet the available information on the subject that might change those attitudes is too obscure and difficult for the average storeowner to understand. 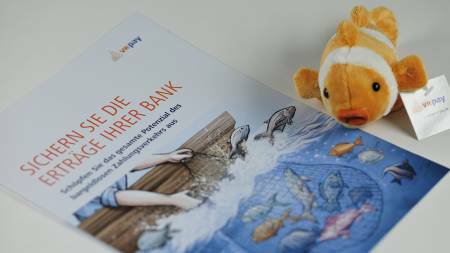 We needed to create materials that would make the job of explaining much easier for the banker and at the same time increase native interest on the part of their business clients. The campaign was divided into two parts. 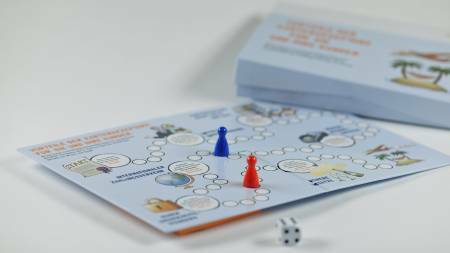 Targeting storeowners, we created stories of unusual and memorable characters whom they might win as unexpected customers with card acceptance. These stories were told through POS posters and fliers. The business owner would thus develop initial awareness and interest in VR pay. 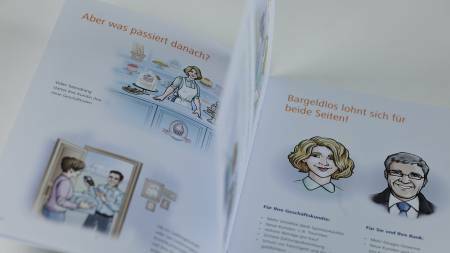 Then through a series of mailings, we provided bankers with materials that fed these stories with a deeper layer of insights and arguments. The banker then had the tools to convince their customers of the benefits of cashless payments using the VR pay system.